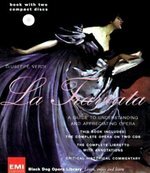 One of the greatest operas of all time, La Traviata opens up like never before in a charming book that includes the libretto, the storyline, and history, and much much more. 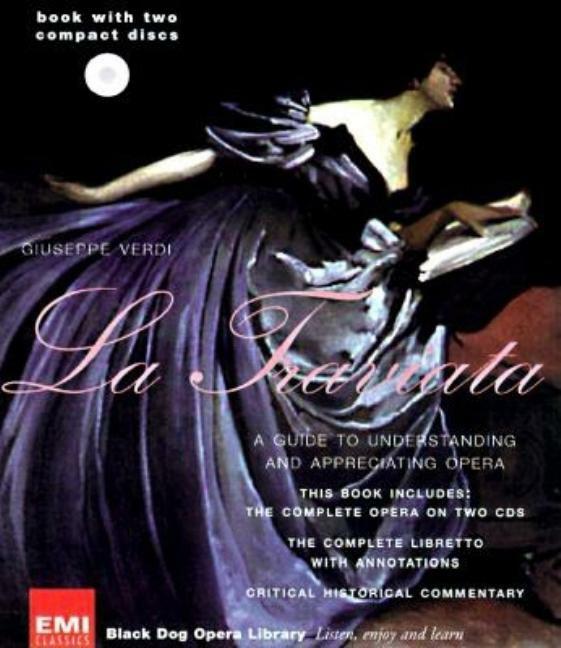 These opera books are beloved by fans and lovers of musical theater. And now they're available again, and packaged with gorgeous covers, each book in the library includes the complete opera on 2 CDs, featuring world-class performances and orchestras; the complete libretto, plus its English translation; an exciting history of the opera; a biography of the composer; a synopsis of the story, broken down by act and scene; and dozens of photographs and drawings depicting performances, singers, sets, costumes, and more.La Traviata features Beverly Sills, Nicolai Gedda, and Rolando Panerai, with Aldo Ceccato and is conducted by the Royal Philharmonic Orchestra.Also available in the series is: La Bohème featuring Nicolai Gedda and Mirella Freni, with Thomas Schippers conducting the Orchestro e Coro del Teatro dell'Opera di Roma; The Marriage of Figaro featuring Dietrich Fischer-Dieskau, Heather Harper, Judith Blegen, Geraint Evans, Teresa Berganza, and Birgit Finnilä, with Daniel Barenboim conducting the English Chamber Orchestra. Carmen featuring Grace Bumbry, Jon Vickers, Mirella Freni, and Kostas Paskalis, with Rafael Frubeck de Burgos conducting the Orchestra of the Théâtre National de l'Opéra.